Yes! 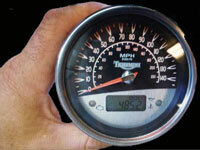 we work on 1999 to 2018 digital motorcycle speedometers. We are the World’s Largest in this industry when it comes to programming digital motorcycle speedometers. ATV, Quad 4X4, Can Am Spyder etc. No problem!